Beautyful house at Hungary, City of Abadszalok. 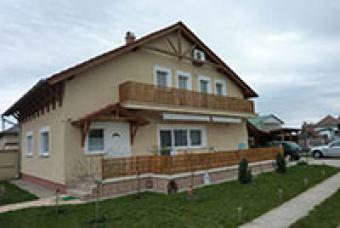 Almost in center of the city, quiet street, 800 meter from the beach Tisza lake. The ahouse was built in 2007. House 213sqm, site 1200sqm. 4 bedrooms, 2 bathrooms, garade, grill terrace, nice garden. The house is a great investment, the lake has many opportunity, beach to swim, fishing, boating and many more. 2 hours from Budapest, real country side.